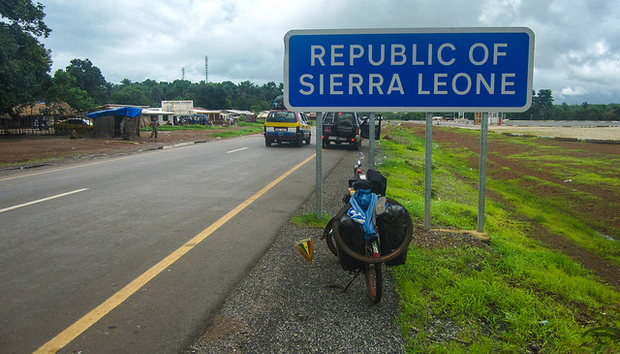 Sierra Leone has a pool of initiatives to boost its natural resources boom with cheap, accessible and high speed internet and phone services. As part of its agenda to reach middle income status by 2035 this has included the establishment of an Information Communication Technology (ICT) Village. This means the West African nation previously known for “Blood Diamond” and chopping off limbs is transforming small boys - who might have been armed with AK47 rifles 10 years ago - into ICT experts. The Government is maintaining zero tax on importation of computers and other IT equipment; the aim is to lower the cost of the equipment, and make the products affordable for its people. And the zero tax policy is yielding positive results. Sierra Leoneans in Europe and the USA are opening IT stores back home where one could purchase a second-hand desktop computer for about US$100. “ICT will be the engine of socio-economic development in the next 10 years in the country,” Siray Timbo, chairperson of the National Telecommunications Commission (NATCOM) the state-run telecoms regulator said in an interview. And things are already beginning to take place. The country has already landed the Africa Coast to Europe (ACE) submarine fibre cable on a $31 million loan from the World Bank. This means the speed of download should increase to 5.12 terabits per second (Tb/s), with a capacity to carry large volumes of voice, data and video, the ACE consortium stated on its website. The country also secured another $15 million loan from the China EXIM Bank to run the cable across the country. With a loan from the Islamic Development Bank, the country will run a terrestrial cable from the landing site in the capital Freetown, to Guinea in the north, and Liberia in the south, as part of the West AfricaWide Area Network (ECOWAN) project. The state-owned telecoms company Sierratel has a monopoly over providing landline services and the gateway is upgrading the Freetown metropolitan network with funding from India. Ten days ago I was in remote farming communities in the north of Sierra Leone, some 300 kilometres away from the capital Freetown, to assess how ICT could be used to create markets for these remote farming villages. With my Samsung Galaxy Mini mobile phone, I was able to make calls, send text messages and check my email in places where my GSM service provider, Airtel, had a presence. In the evenings, I accessed the internet on my laptop with a dial-up modem from Airtel and electricity from a private generator to power my computer. But the services were not great. I could not upload pictures on the internet, call drops were frequent, and so on. There are five registered GSM operators (three are fully operational), one CDMA and fixed line operator and over seven registered Internet Service Providers (ISPs), but the services offered are very poor most often. People complain daily to the National Telecommunications Commission (NATCOM) about poor transmission of voice traffic and very slow internet connectivity despite the availability of the fibre optic. These days I move around with two or more mobile phones so that if voice transmission is very poor with one network, I can easily switch to the other. A common joke around is that the internet is allergic to rain as internet connectivity goes down most often when it rains. Unlike mobile phone penetration reaching two million subscribers among the country’s six million people, internet penetration is moving towards 2% and it is still an urban phenomenon. The offering of 3G licenses to GSM operators coupled with the availability of smart phones, is increasing internet usage among the youth. It is hoped the increase in subscriber base may reduce the cost of services. Like in other countries in the sub-region, the number of internet cafes and tech training institutions is increasing in the capital and provincial cities. The newly established Catholic university in the north (University of Makeni) has opened an ICT Department in the President’s village, five kilometres away from Makeni City. Whether this village would be Sierra Leone’s Silicon Valley is yet unknown. About 60% of the people live on less than $1.25 a day and only 40% of the population is literate. Therefore, paying for ICT training, equipment and services is considered as only for the educated and financially privileged urban dwellers. The monopoly over the gateway granted to the state-owned Sierratel is responsible for the high cost of phone calls to link with the rest of the world. Sierratel contracted Teltac, a company registered in Sierra Leone much to the annoyance of other players in the industry, to man the gateway. In fact it defeats the purpose for the launching of the fibre cable. Liberalization in terms of opening up to investment should be backed with the liberalization of the gateway. The repeal of the telecoms law granting Sierratel monopoly over the gateway is timely. The country’s electricity demand has increased to over 1,000 megawatts but so far the generating capacity is around 100 megawatts. Projects to improve thermal and solar energy supply are going on to meet the energy needs of the future. Millions of Dollars are spent on building the country’s ICT sector. Yet we are still waiting for that day when the services to upload or download videos in minutes are available to all in urban and rural communities. We too would like to make video calls using Skype and Tango uninterrupted… and youngsters would love to do more things in the ICT industry across the country. The war ended a decade ago but unemployment, one of the causes of the war, is still high among the youth. Therefore, as Sahr Sewah, coordinator of the ECOWAN project in Sierra Leone, stated in an interview, building the ICT sector is not just about widening the broadband to promote e-governance, e-health, e-learning, e-commerce and connecting with the rest of the world; it would also serve as a window of opportunity to create the jobs of the future for the country’s 70% unemployed youths.